Printed Top, Pleated Skirt, 2 Pom Poms. 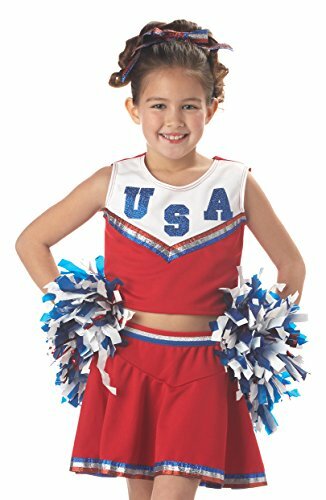 Features:1.Size: Shoulder : 12.6 ", Chest : 33"-41", Waist :26"-32", Dress Length :29.5" .The fabric is stretchy . 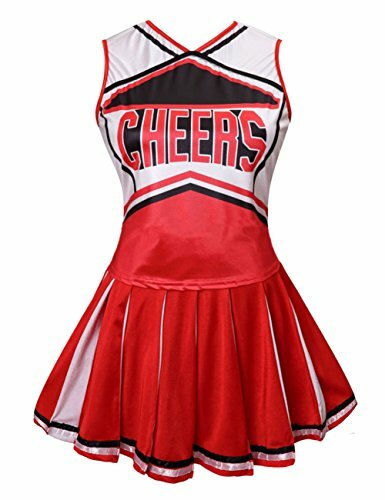 2.One piece cheerleader uniform fancy dress .Color :Rose , Blue,Red,Purple,Green,Black .3.Bright colour make you charming and transform into a cheerleading in seconds.Suitable for any party with cheering .br>Notice: 1. Size in 1-2cm size difference is in normal range due to manual measurement. 2. Color may have a little difference due to lights, screens, etc. 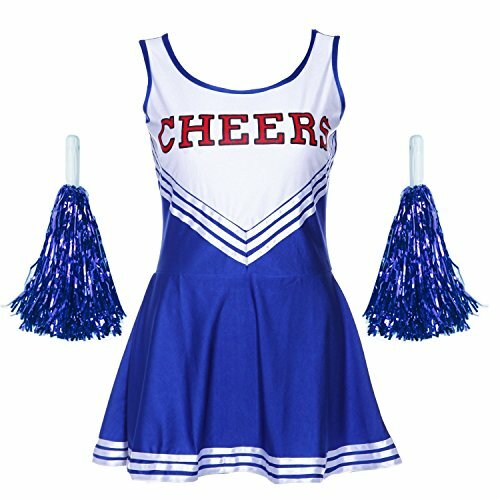 Package: 1 x Women Fancy Dress. 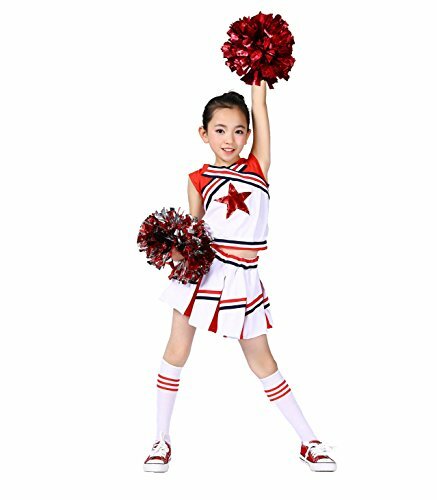 Make your daughter the coolest kid in the party. 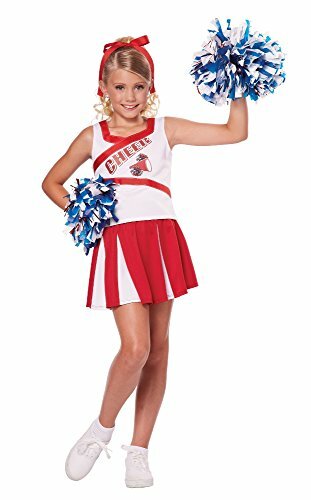 With our Ra Rebel party costumer, your daughter will surely be a party head Turner. 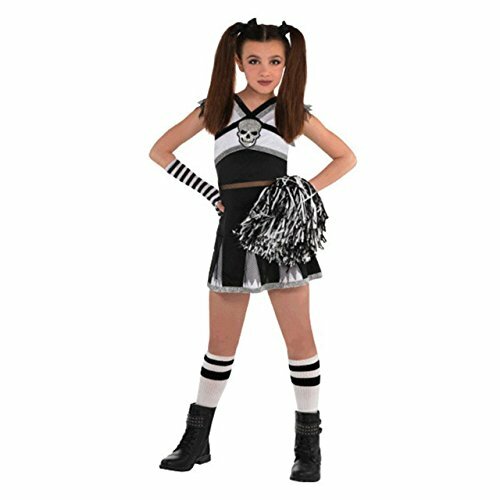 This party costume features a gray skull at the middle of the dress. Your daughter will surely love it. 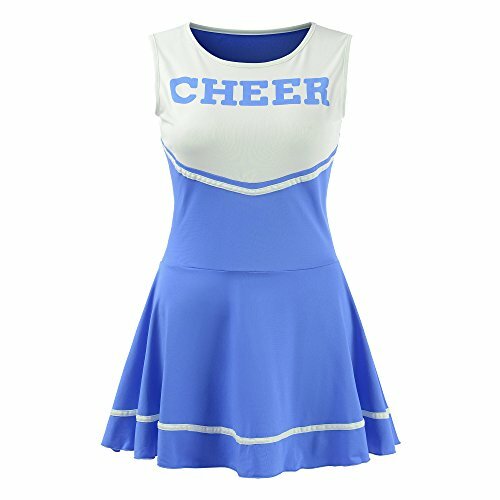 Great for costume and cosplay events!